Thailand-based Elephant Special Tours offers direct interaction with elephants. You have the unique opportunity to experience an animal-focused journey with your whole family, where you can get a deep insight into the Asian culture of elephant conservation. For the duration of your stay you will get your “own” elephant to take care of. Bodo Jens Förster, his team and the mahouts will be right by your side to help and assist you. Being so close to the elephants will be an unforgettable experience for you. Starting from Mae Sapok at the edge of the Doi Inthanon National Park, we offer the possibility to discover Northern Thailand from a viewpoint, that usually keeps hidden to most tourists. You will be accommodated in well-maintained lodgings, from which we start our excursions. To grant an individual care for our guests, we keep our groups as small as 8 persons at maximum. 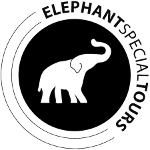 Elephant Special Tours combines the advantages of a reliable online tour operator with individual consultation. Our programms and all informations to various tours can be found on our website.Should you have further questions, please get in touch with us by phone or via our inquiry form. 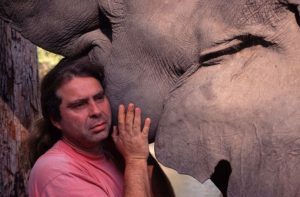 As founder and owner of Elephant Special Tours, I would like to introduce you to my team, our occupation and myself: Bevor I founded this tour operator in 1994, I have worked as an elephant caretaker in many zoos throughout Germany and Europe. I continued my professional education for many years in Europe and Asia and qualified as an elephant trainer. My team and I are dedicated to the protection and the conservation of the Asian elephant. With the foundation of this company we were able to do our personal share to secure the future of these fascinating animals. We are glad to employ several female elephants together with their calfs, bulls and their mahouts in our camp. Since the beginning of Elephant Special Tours, our camp has been constantly extended. We are able to employ more than 30 people in our camps accommodations and catering services, which makes us one of the most important employers in this sparsely populated region. Our tours are held in two different elephant camps, partially depending on the particular season in the year. The are located quite near the guest accommodations in Mae Sapok: The driving time to both camps is only about 10 minutes by car. The camps are located just at a riverbank and are framed by rice fields, little villages and thick forest just next to the Doi Inthanon National Park. Our camps can be reached by off-road car via rural and dirt roads. Inmidst of teak forest and pure nature the size of each elephant camp is about 2 hectar. Here our guests can enjoy the work with the animals and extensive bathing in the river, even together with the elephants. Right now, there are several elephants with their calfs in our camps. Our elephant herd is partly related. This togetherness is highly important to us, as elephants herd animals and need a familial social structure. Each elephant is supervised by a skilled mahout. The mahouts will always help and assist you working with your elephant throughout your stay. We have set up a covered area for your lunch breaks, made of bamboo and pine wood. The fresh ingredients for your lunch will be prepared for you on spot. Our cooks will provide you with delicious meals. Drinking water is served free of charge. Each camps has a little sanitary room.